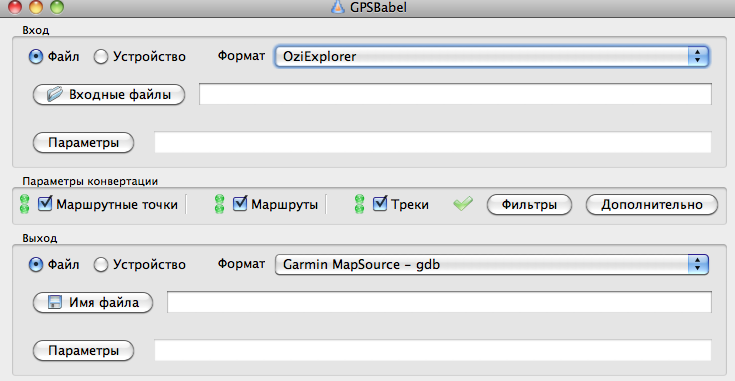 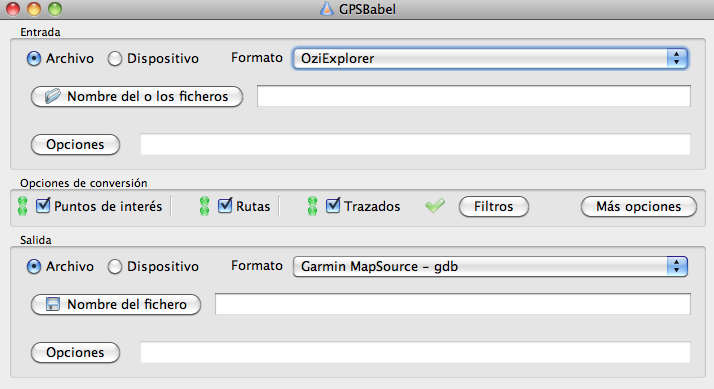 One of the highlights of the 1.4.0 GPSBabel release is the new GUI and the internationalization that allows. 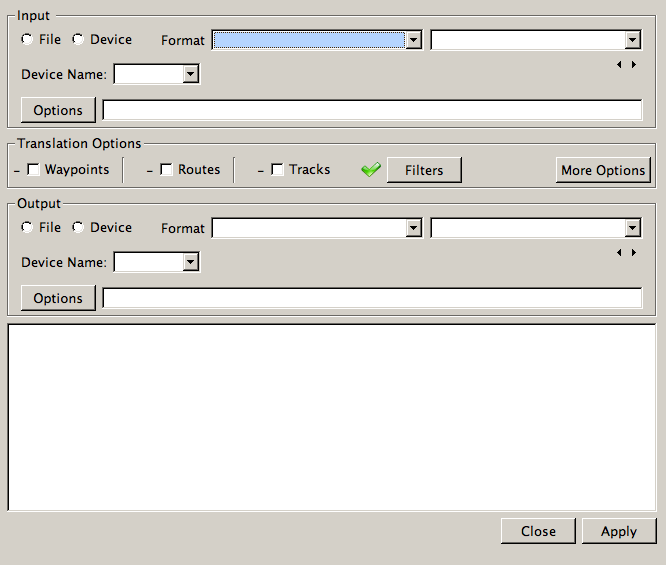 Here's our main screen in Windows. Here's that same screen on Mac OS/X.